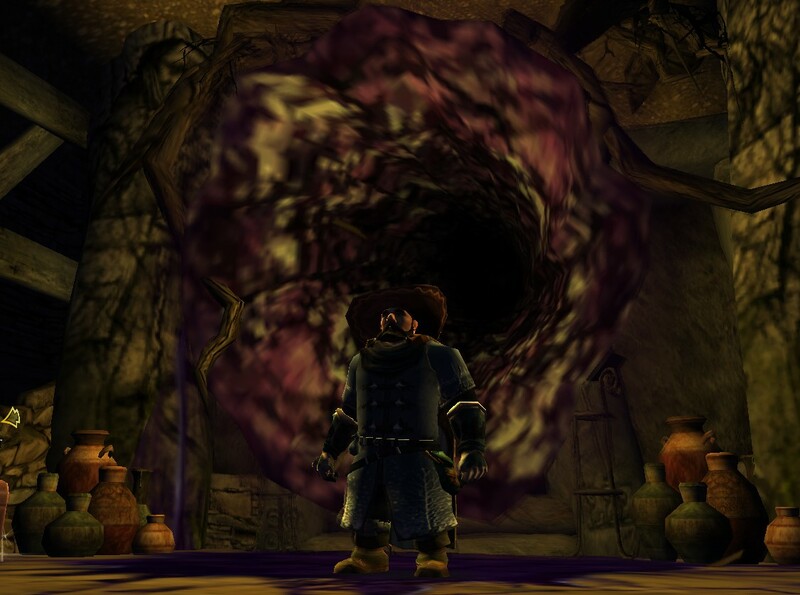 LOTRO: PORTAL found! Its in the Game! Landscape quests were picked up to to kill 8 drakes and break 15 eggs, and a deed was rewarded for finding all hatcheries. Getting to the top of Wyrmdelf, exits onto Fang Tor (for the where evil dwells deed) and Tsukuld got to take down the Wyrm-father! 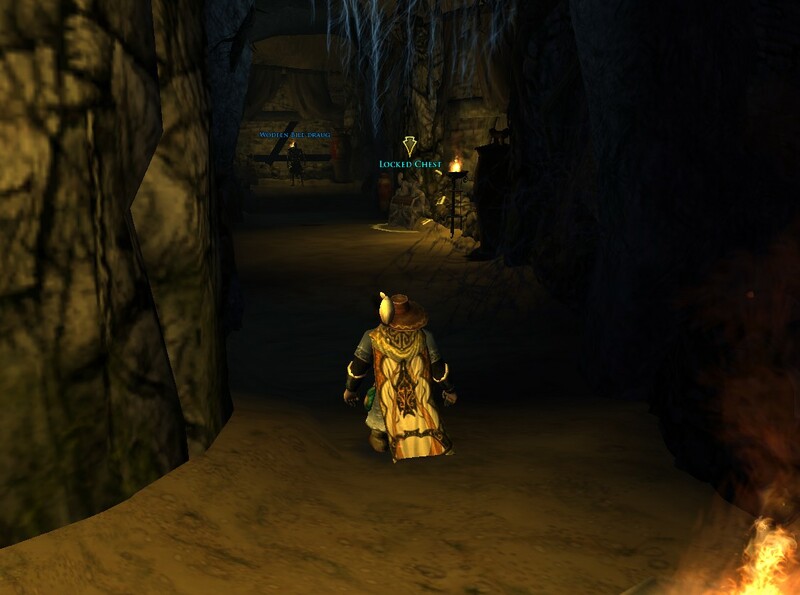 Ok back to EAworth…or not, end up entering the Wódfen…landscape quest for killing salamanders and crebain, there are plenty of crebain to be quickly taken out in small flocks. Finally an undead dungeon to explore… another deed to find 13 rooms, I missed 3 and spent quite some time floating around to find it. Another point of interest are the ‘Locked Chests’ (creatures) not an ode to FF’s Mimics, which are killed for XP! They also mess up TAB targeting… but why the hell are they here? I wonder how dangerous that chest is? 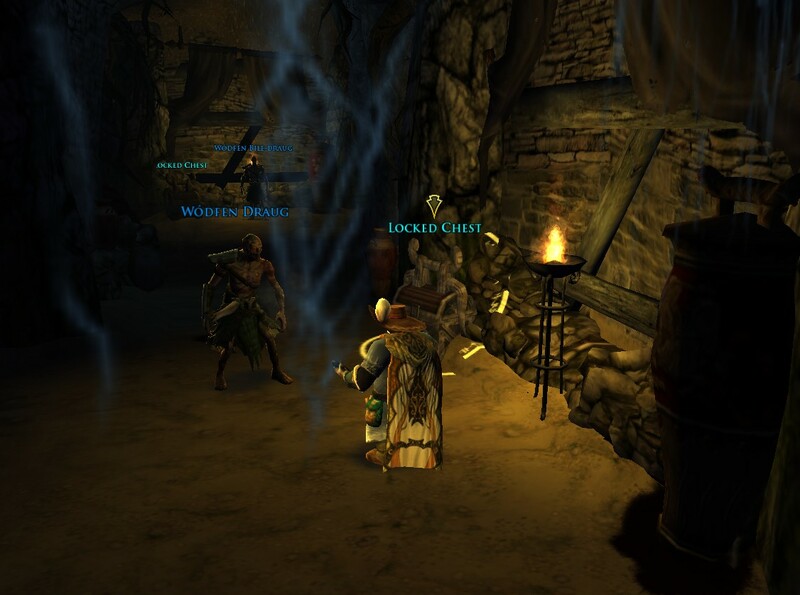 Target the Draug not the chest…IDIOT! Wonders where it goes…or what comes through it…from the stains I am guessing purple people eaters! I found out later when I got back to EAworth to find my LOOT overflow full of Dark Talismans…an item which when used starts a quest…also a dagger quest item that requires Tsukuld to head back to the Wyrmdelf! 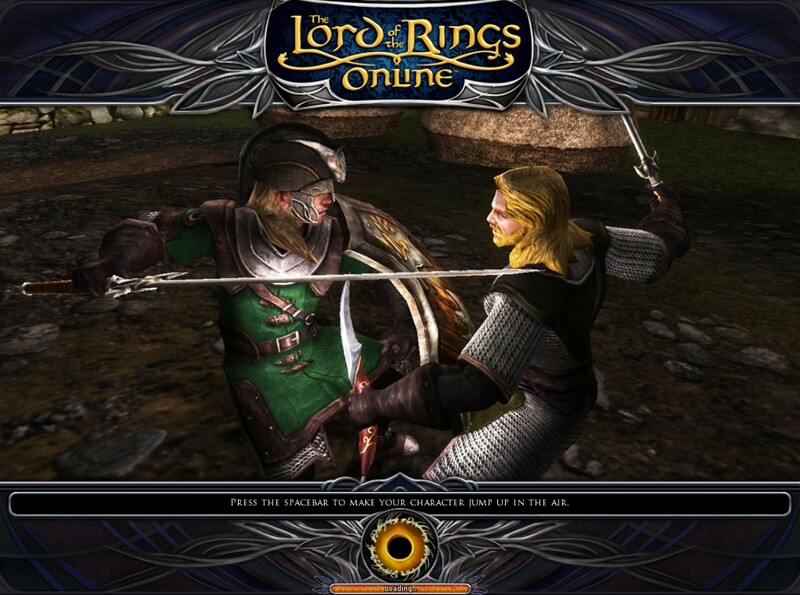 No LOTRO at all today, withdrawal symptoms kicking in already! Expedition to the East Wall where Searchers, for An Eye for the Foe that had risen Above His Station, received Recent Glory. Landscape mystery where the Blood-stained Tree – ends and the Blood-stained Tree – starts are Arrows of Elf-make. Fortifying Grog is found within Reach of the Grave and drunk! An Account from Beneath the Earth – ended badly. Isteron’s Friends out For Glory and Coin planned A Reunion for A Captive Friend; being Short of Stature, Great in Deed and in need. But first more pressing are Hestil’s Suggestion to tackle the Dogs of Evil. The West Option explored for A Common Cause lead to the Slopes of Amon Hen and the Long-awaited Sight of big statues. Out in the Open those Words of Encouragement are not Something Left Behind indeed Vengeance for Elthengels, repeatable, daily as it should be! Warband: Haglob, Warband: Skútog, and Warband: Swertríper roam unmolested, a Vestige of the Fallen, The People of Elthengels start Rallying a Militia to make An Overwhelming Order but fail. After Mending Wounds of The Unruly Stallion our hero bades a Sudden Farewell and takes A Dangerous Road, off Exploring the Ancient Tomb. After Purging the Ancient Tomb of An Obstructive Foe is offered A Fair Bargain or A Raw Deal, chooses The Enduring Menace and all cry that The Merchant Gone Missing, to be found in Mauhúr’s War-camp. Hunting the Warbands leads to Trouble to the West where A Game of Hiding has Dislodged something, Something Fishy! A Familiar Keepsake is found by The Tower by the Stream, Savage Intruders are defeated aided by A Savvy Assistant, The Arrogant Huntsman. An End to Âmbal was The Work of a Huntsman claiming Athelward’s Bounty after using the Blades of the Rebels to gain Capital Earnings. Tsukuld on his little war pony! Ended up in Eaworth in the Entwash Vale. Here continues my mind bending quest as constructed using all the East Rohan quest titles as listed in the LOTRO WIKI. Designs for the Siege included the following battle plans; Tower an Inferno: attackers capture the tower but while celebrating on the top, it is set alight, flames catch hold and dramatic mayhem ensues, most are finally rescued; Mounts for Mordor: ended up more M for murder; and Cleansing by Fire: if at first you do not succeed throw lots of flammable liquid on it and set it alight! Volume III, Book 7, Chapter 6: A Journey by Boat in which there was a journey and it was by boat. Volume III, Book 7, Chapter 7: Shadow of the Argonath in which the shadow of Argonauts was described. Volume III, Book 7, Chapter 8: Reading the Signs in which the highway and byway road-signs of ME are described in detail. Volume III, Book 7, Instance: The Breaking of the Fellowship in which Boromir teaches the fellowship to breakdance. Volume III, Book 7, Instance: The Horn of Gondor in which Boromir does the full monty and demonstrates his horn. Volume III, Book 7, Instance: Session Play: Two Hobbits in which Sam demonstrates how there can only be one! Volume III, Book 7, Chapter 10: To the Wold! In which the hero is bold yet called cold, dolled up with folded gold, a hand hold is found, heads lolled in all directions, mold so old, is polled before being rolled and eventually sold. Our hero is then told of v. old walled Wold, extolled again is that they iz old! Riders Afoot begins with either; oddly Riders Afoot carrying Bows of Foul Craft; or in gravity defying Pointless Flight yet Beneath the Earth searching for Lost Friends who are suffering from Hunger and Thirst. Middle Earth, in this world can be found The Wold East Rohan, here lives The Thane of Langhold who knows that Salamanders Hate Fire and that Slithering Too Near to fire will inflame their Venomtongues. The River Watch Patrol has formed An Unsettling Alliance with the Easterlings at the Undeep as A Greater Enemy gives rise for Reason for Alarm, as predicted War Comes to Rohan! 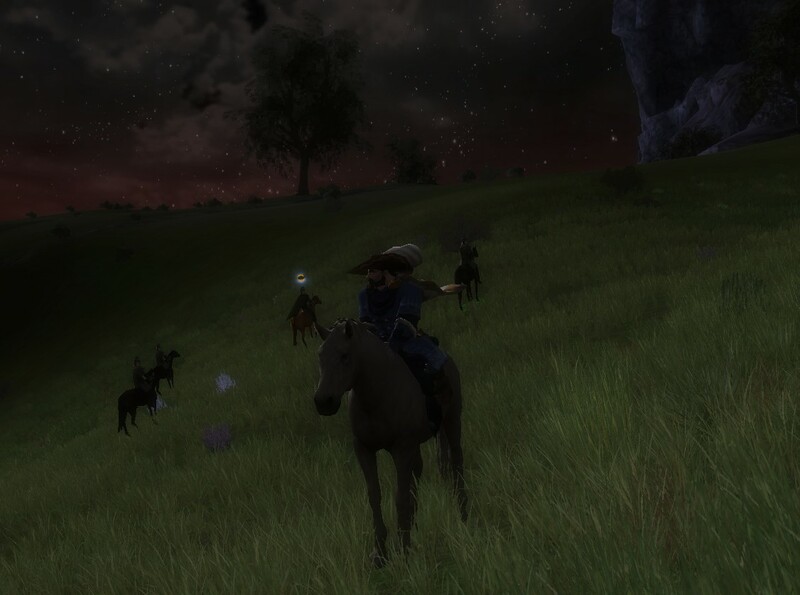 To prevent Devastation in the North requires many to undertake the Mounted Combat Tutorial. Entailing, firstly Riding Against Flies and Eliminating the Noise-makers, then picking Marsh-reeds and terminating with the slaughter of many Corrupted Salamanders. Prowling in the Fields, The Stinging Bog killing Winged Pests while Swarming the Nests. Then while Assessing Fang Point kill Mother of the Pack by Trimming the Claws and feeding them to Scouts of the Enemy. Pushing Back their Advance by using Prisoners of Olghakhósh to the fore, Leading the Advance to Quench the Flames as they are Fire-starters, funky instigators of prodigious fame. Then Snuff out the Flame quick as to better Aid for the Refugees who need to find Riches Left To Rot. Refugees: Foodstuffs of Langhold Down Payments are Welcome to Harwick. The Riders Four are also On Notice! The Reeve of the Wold would use Five Against the Wold but not Tempting Fate sends a Report to Twickenburg detailing the Source of the Corruption. Leaving the Rest for the Unrest while Warding Off the Coming Darkness releases a Flock of Spies whose Feathers of the Flock are plucked…becomes the Flock That Ran Afoul. Continuing Onwards to Floodwend where The Many Opinions of Floodwend lead to A Worksite Overrun by a Matron of the Howling Wood providing Trophies of the Hunters to the hunted. Cleansing the Wold of Warg-packs and Machines of War while Orchestrating the Siege for War-mongering Slaves to continue Stealing from the Enemy and eventually Leading Floodwend’s Demise But the Plans of the Assault are found and defence to Report to North-torr as Floodwend Besieged then next To East Wall, and then To Elthengels.